Epiphany, written by Sonya Deanna Terry, is a two-part novel that explores the beginnings of currency through a magical adventure where the forgotten past collides with the future. Book One: The Golding, introduces us to Rosetta, a woman of many talents, ranging from tarot reading to organizing book clubs and being a mother to a sultry teenage girl. The past is then uncovered through a novel Rosetta reads, bringing to life a world of elves, faerie clans, body kings, and potions. Soon it becomes evident that the elves have a message for the people of the future and from here begins an epic adventure where love, life, and fantasy come together for a modern day fairy tale. Book Two: The Silvering, explores The Global Financial Crisis and the impact it has on the people of the future. Rosetta and her book club friends stumble into a quest for “The Silvering” where letters from the past give clues of the future. What is the Currency of Kindness and will it return in the lifetime of Rosetta and her friends? 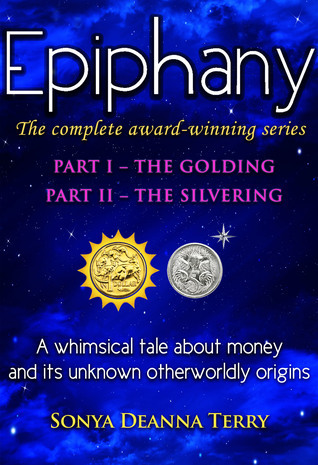 Epiphany is a novel with an epic story line involving financial struggles, intimate relationships and a book filled with elves and mystery by a mysterious Lillibridge. The book alternates between Rosetta’s current life and the novel she is reading, weaving the two stories together in a package of magic, elves, and fantasy. As you enter the world of prehistoric Norway, you can’t help but be entranced by the magical world portrayed through vibrant colours, beautiful oaked woods and most importantly, elves who are between reality and the Dream Sphere. The switch to the modern day brings about relatable issues such as family problems, relationship woes, and moody teenagers. The two worlds then collide, creating a modern-day fairy tale, filled with magic and consequence. There are also letters which help establish clues and meaning to some of the characters. These letters are vital to the story line and give us an insight into people’s personalities and real-life problems. Some of the problems are eerily relatable, from financial stresses and relationship woes, leaving the plot line feeling almost as if it could genuinely be real life. 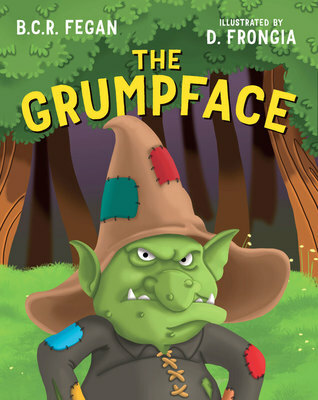 Pieter of the Brumlynds is an elf who ventures into the Dream Sphere to help someone in the future. Pieter is a deep thinker, analyzing his destiny while also getting frustrated at the simplicity of humans. Malieka, Pieters mother, ventures into the Dream Sphere, sometimes meeting strange and beautiful creatures who are determined to pass on important messages. Throughout the novel we watch the characters grow in both strength and courage, as they venture into the unknown world. The imagery conjured by the author is both beautiful and enchanting. The colours, descriptions of nature and the Dream Sphere leave the reader imagining their world with a tinge of fairy dust and sparkle. Phrases such as “emerald tinged blackness” or “hair like lava, eyes of black stone” are just a few examples of the magic the words bring to life on the page. I would recommend this to anyone who enjoys a fantasy novel with a dash of romance, magic and a modern-day twist.